Sin is "slavery of one's ego": "the greedy, the lustful, the avaricious, the irascible, the envious, the slothful, the arrogant — and so on — are slaves of their vices, which tyrannize and torment them." "Today it takes courage to get married". 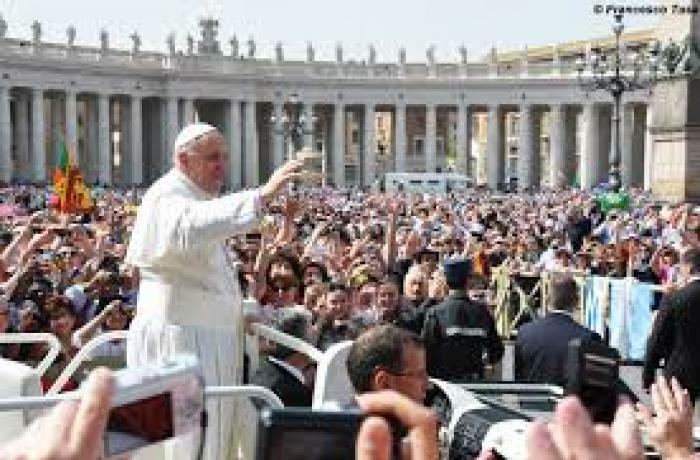 Vatican City (AsiaNews) - Sin, which is "slavery to one's ego", is what binds us more than anything else, because it forces us to look only at ourselves and makes us incapable of loving, which is true freedom. The day of rest as a memory of liberation was at the center of the reflection that Pope Francis addressed today to the participants in the general audience. 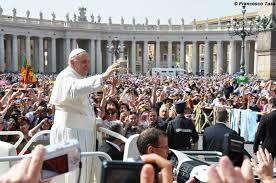 In fact, at the 30 thousand people present in St Peter's Square, he spoke of the "day of rest, the prophecy of liberation", inspired by the fact that in Deuteronomy, unlike Exodus, the reason for repose is not the blessing of creation, but the end of slavery. "On this day the slave must rest just like the master, to celebrate the memory of the Easter of liberation". Finally, in the greeting to the Italian faithful, Francis described the newlyweds as "brave" because, he said, "today it takes courage to marry".